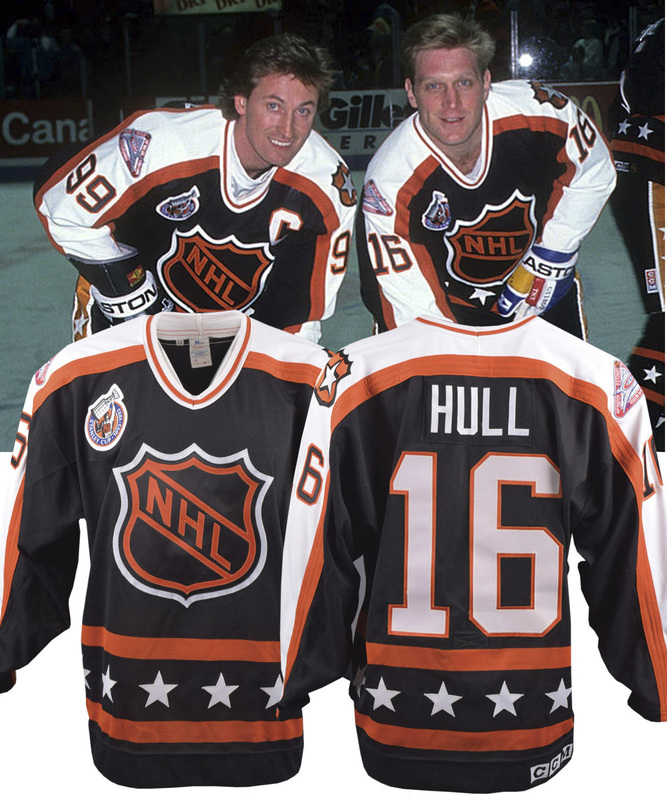 His fourth of eight NHL All-Star contests, Brett Hull would be the starting right wing at the 1993 edition of the best-on-best showcase. We have the Campbell Conference jersey worn by Hull, with this desirable design first introduced in 1989. With Maska Air Knit labeling and a size “52” fly tag along the collar, embroidered CCM and NHL patches appear on the bottom hem. 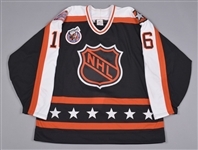 Featuring an attractive NHL shield crest fashioned from tackle twill, “16” appears over the sleeves and verso, along with the Stanley Cup centennial crest over the right breast and 1993 All-Star game patch over the right shoulder. With just a bit of red paint transfer over the right cuff along with a pair of long dark marks over the left sleeve that may not be game-related, the jersey remains in beautiful condition, with a signed LOA from Brett Hull to accompany.